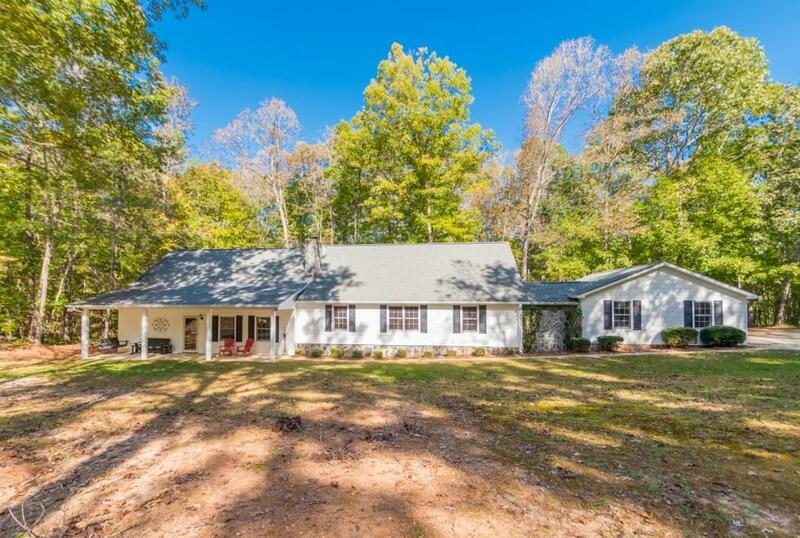 If You Are Looking For Acreage, Privacy & NO HOA -- Then This Is It! Custom Ranch Plan On 15 Gorgeous Acres To Enjoy Nature's Beauty All Year Round! 30x40 Detached Garage/Workshop w/Water, Power, 2 Roll-Up Doors -- Perfect For RV Parking, Car Buff Or Business! Rustic Interior w/Huge Greatroom w/Raised Hearthstone FP & Opens To Delightful Chef's Kitchen w/Large Island/Serving Buffet -- Perfect For Entertaining w/Dbl French Doors Leading To Oversized Deck. Teen/In-Law Suite. Large Secondary Rms. Good Storage, Great Schools & Proximity To Airport. Welcome Home! Directions: From I-20 W: Take Exit 30 For Post Road. Left On Post Road. Left On Pool.